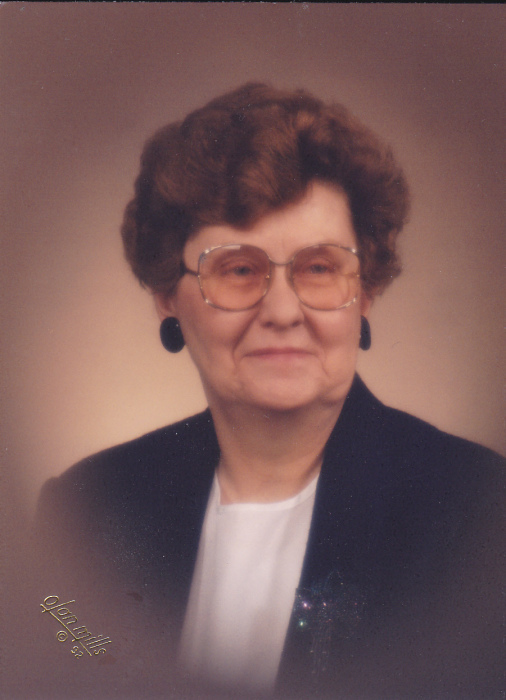 Lola Redburn Buckingham, 87, died Sunday, January 27, 2019 at the Todd Dickey Nursing & Rehabilitation Center in Leavenworth, Indiana. She was born in Horse Cave, KY., and was a retired department manager for Sears. She was preceded in death by her husband, Willie L. Buckingham. Survivors include a daughter, Linda Doan (Harold) of New Albany, two sons, Mike Buckingham (Julie) of Corydon and Phillip Buckingham (Anita) of Clarksville, a sister, Glenna Chadwick of Radcliff, KY., seven grandchildren and 8 great-grandchildren. A graveside service will be held at 1:00 PM on Tuesday, January 29, 2019 at Walnut Ridge Cemetery in Jeffersonville. Visitation will be from 11:00 to 1:00 PM on Tuesday, January 29, 2019 at Chapman Funeral Home.